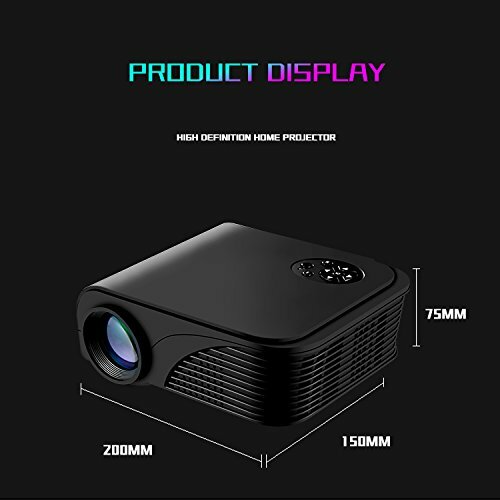 JIFAR 1800 Lumens 200″ Video Projector, Multimedia Home Theater Supporting 1080P, HDMI /USB/ VGA/ AV /HD for Home Projector Game TV Laptop iPhone Android Smartphone with Free HDMI Cable-BlackJIFAR 1800 Lumens 200″ Video Projector has many appreciations such as big screen, vivid color, HD 3D and multi-function input, longer lamp life, 3 years of warranty and life time customer support. This Jifar home theater projector let you enjoy vivid color and clear image with 1800 lumens and 1500:1 contrast ratio. Please make sure that it is not recommended for PPT or business presentation. Further, this home theater Jifar video projector has larger screen so watching videos and playing games can be fun. It allows you to view content from 40 inches to 200 inches from 1.2 meter to 6 meter projection distance. However the best projection distance can be approx. 2 to 2.5 meters with the image size of approx. 120 inches. Amazingly, it has many inputs such as HDMI, dual USB, VGA, AV and 3.5mm audio output. 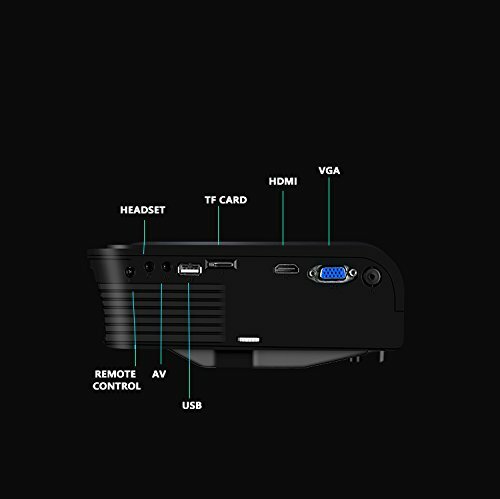 Using these widely used inputs, you can easily connect this Jifar projector with your laptops, desktops, DVD players, gaming machines and TV boxes. Also, it has long lamp life that can lasts approx. 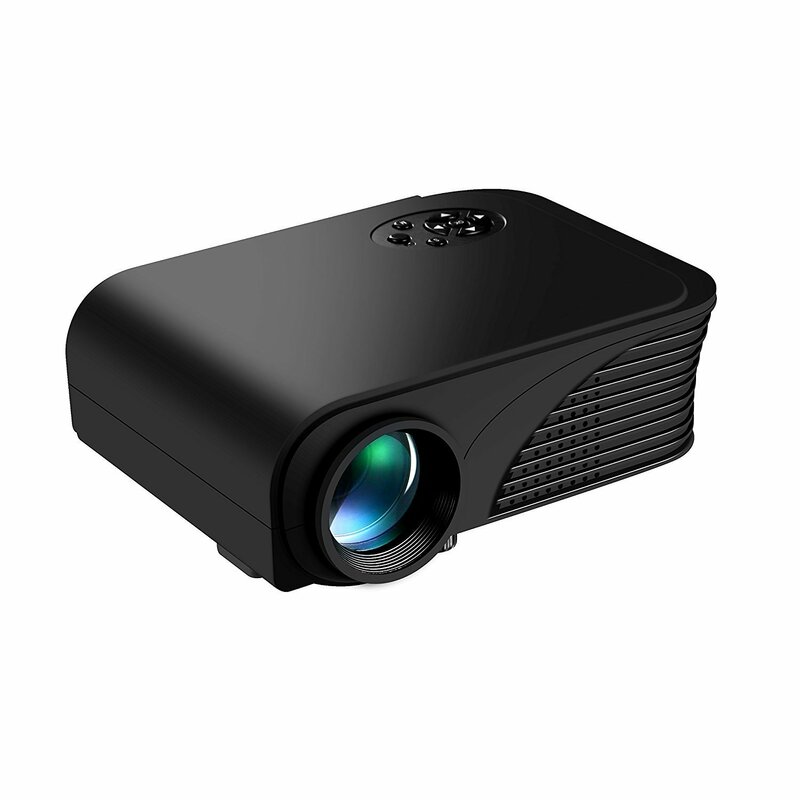 50000 hours that you can enjoy your projector for many years even you watch 2 hours every day. Since, it has longer life lamp so you don’t have to get the projector lamp replaced frequently. Just enjoy various videos, games and music as per your preference sitting at your own home. 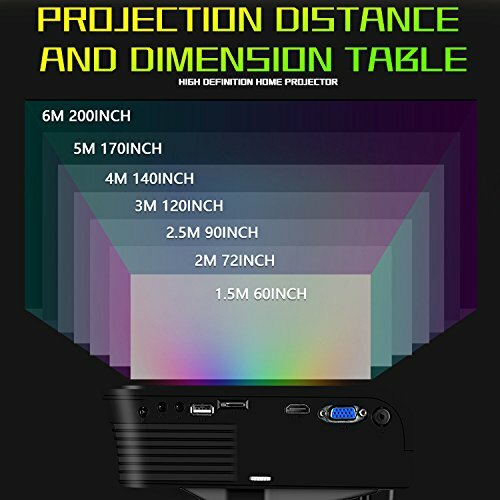 Next Article Wsky T21 1800 Lumens LCD LED Portable Video Projector, Multimedia Home Theater Projector, Support HD 1080P for Outdoor Movie Night, iPhone, DVD Player, TV Box and HD Games with Free HDMI Cable!